Protect your Samsung Galaxy S8 with this durable and stylish black leather-style wallet case by Olixar. What's more, this case transforms into a handy stand to view media. Fits the phone perfectly, arrived promptly, very reasonably priced. 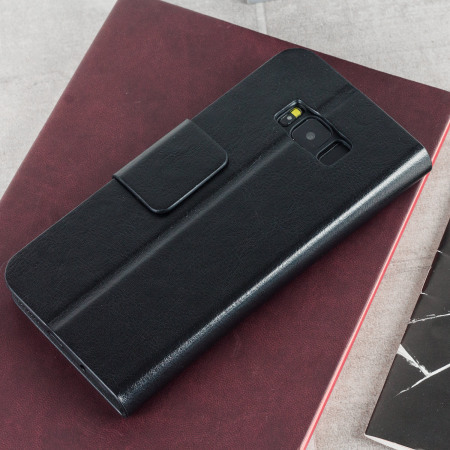 Offering excellent protection in a stylish package, the Olixar Wallet Case for the Samsung Galaxy S8 has a leather-effect outer lining and soft microfibre interior that keeps your phone looking as good as the day you bought it. 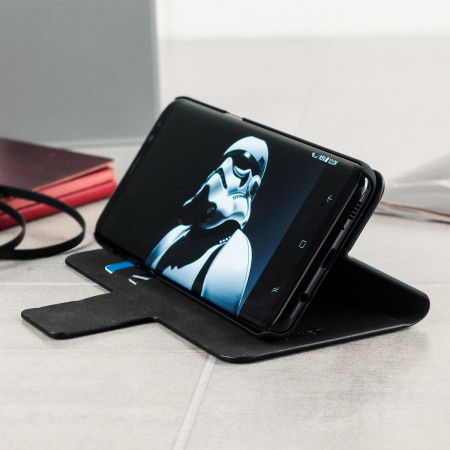 It is padded to provide good protection against minor impacts, but is still thin enough that it does not add much bulk to your device. 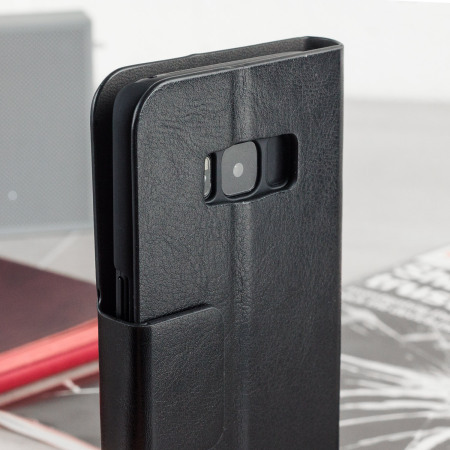 The Olixar leather-style wallet case has been specially designed for the Galaxy S8, so you are guaranteed the best possible fit. 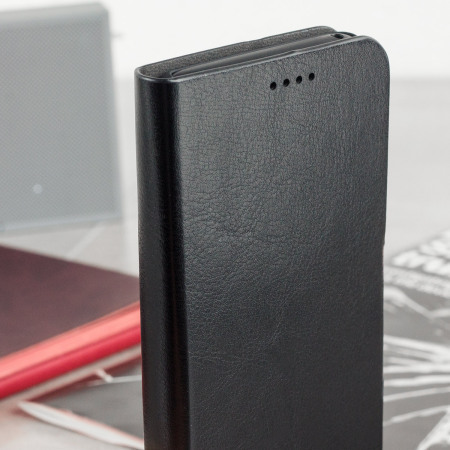 Underneath the sturdy leather-style casing is a strong and robust plastic frame, that will keep your handset safe and protected, guarding it from the rigours of general use. 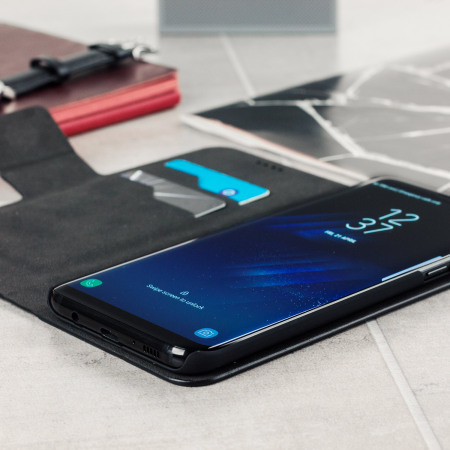 The back cover of the Olixar Wallet Case is designed to allow the Galaxy S8 to fold onto itself horizontally. This creates the perfect viewing stand for watching movies, listening to music or even web browsing. 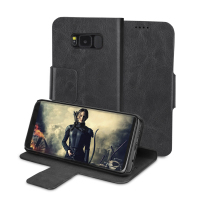 This Olixar Wallet case is made specifically for use with the Galaxy S8, so it offers a perfect fit and does not impede the use of any of the functions, such as the power and volume buttons, headphone and charging ports and rear camera.